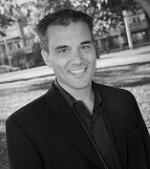 Michael Saini, Ph.D., M.S.W., R.S.W. The 2018 Annual Conference will be held April 5 and 6 at Champions Run Golf Club in Omaha. The conference will feature Michael Saini, Ph.D., M.S.W., R.S.W. He is an Associate Professor at the Factor-Inwentash Faculty of Social Work, University of Toronto and holds the endowed Factor-Inwentash Chair in Law and Social Work. Dr. Saini is the Co-Director of the Combined J.D. and M.S.W. program and the Course Director of the 48-hour Foundations to Custody Evaluations. He serves on the Board of the Association of Family Conciliation and the Courts and an editorial board member for the Family Court Review and the Journal of Divorce and Remarriage. While the conference agenda is not completely defined, it is tentatively set for Thursday, April 5, from 1 p.m. to 4 p.m. and Friday, April 6, from 9 a.m. to 4 p.m.
Thursday’s topic is Maladaptive Attachment Responses and High Conflict. In 2012, Dr. Saini wrote an article titled “Reconceptualizing High-Conflict Divorce as a Maladaptive Adult Attachment Response.” His article is available to read at http://bit.ly/2zeBLHN. On Friday, Dr. Saini will present a framework for trauma-informed mediation. As the agenda and learning objectives are defined in the future, the information will be shared as well as posted on the conference web page: www.nemediation.org/2018-conf. Registration is open!